Back in March, Philadelphia-based electronica duo, RYAT, released Avant Gold. I liked the album and meant to write about it, but was unfortunately overwhelmed by countless other albums/demands/deadlines and the album consequently fell too far from relevance to cover. 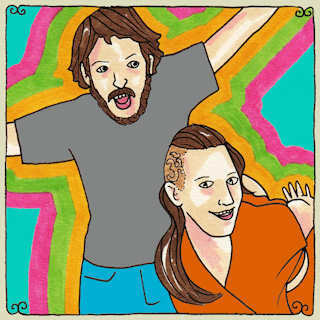 I was pleasantly surprised to see that RYAT, the combined energies of Christina Ryat and Tim Conley, have a Daytrotter session available. "Not For This Lifetime" is marked as unreleased, though it appears in Avant Gold. This version is notably different, however. The other unreleased track, "Nose Art," is thick with reverb, sampling and deep low end. Avant Gold is a worthy listen if you get the opportunity to hear it. There's a good amount of live instrumentation incorporated into the more electronic aspects of the band's sound, which is adventuresome and deeper than what I've come to expect from most trance, techno or electronic music.